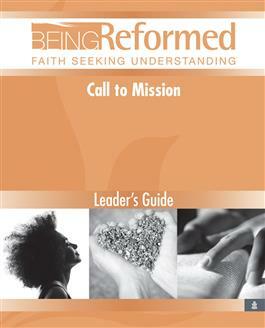 Call to Mission will challenge your congregation to explore its call to mission from both global and local perspectives. · Journey with Presbyterian World Mission as you discern God's call to mission in the life of your community. · Discover how Presbyterians around the world are responding to three critical global initiatives: poverty alleviation, evangelism, and reconciliation. · Identify how your community can join in the efforts. Foreword by Hunter Farrell, director, Presbyterian World Mission.